Just how deep those scars run is the mystery woven into John J Kelley’s touching period novel about a veteran seeking to deal with memories of his service. Half of the story is told in flashback, with those passages and chapters conveniently printed in italics so that the eye can help prepare the mind shift between then and now. This is done fairly seamlessly, even if some readers feel that the two novellas are layered like alternating sheets of cake. The interconnection between the two stories goes beyond the obvious, although that is not hinted at until very late in the novel. 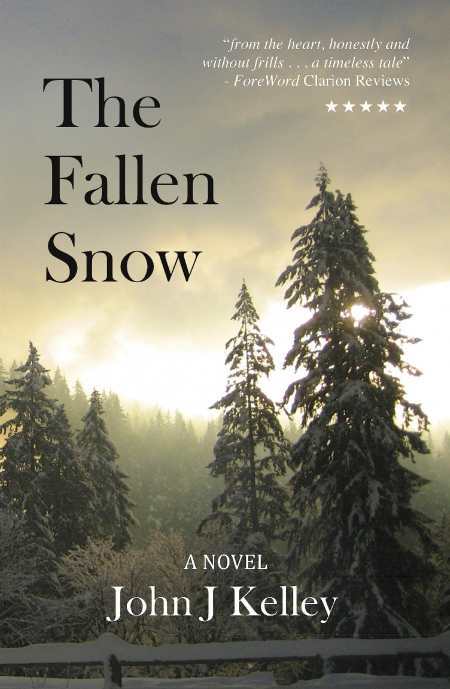 There is more to The Fallen Snow than a wounded combat veteran haunted by the horrors of war, mourning for lost comrades, or suffering survivor’s guilt. These emotions are part of the fabric that makes up the main character’s personality and story, but Kelley’s stricken hero, Joshua Hunter, holds within his heart yet another secret: The memory of a forbidden love that few in his native Appalachian town would suspect, let alone understand or accept. Kelley’s characters are stock players who are also believable and very human. In Virginia, there is the girl he left behind, the kid brother who idolizes him, the doting mother, and the grumpy father he can never please. In France, there is the bold former Foreign Legion sergeant, the winsome war widow refugee-turned-nurse, and the typical buddy who befriends Joshua in training and the trenches. The relationships between the nurse, the sergeant, and Joshua create a poignant love triangle—and Kelley is coy about revealing which pair are the true lovers. The chapters set in France are more about men in training and on leave than about combat, and anyone expecting a war story will find very little of that. What they do get is more about sentiment than soldiering. Kelley’s characters are introspective, and when they speak it is from the heart, honestly and without frills. The real story here is about a soldier trying to come back to a place where he no longer fits in, and about the family and friends who only slowly come to realize that he is no longer “the old Joshua.” Although The Fallen Snow is in part a tale of romantic love between two men, it is also in many ways a timeless tale of men changed by war, and in that respect should touch a nerve among many veterans, their friends, and families.